Unlike traditional accounting firms, our SMSF accountants are only specialized in providing SMSF accounting and administration services. We are providing SMSF administration services for more than one thousand SMSF trustees on daily basis, which makes Gavin Ma & Co Accountant one of the major SMSF service providers in Australia. Our SMSF team attends SMSF training workshops, superannuation schools and webinars on a regular basis to keep their knowledge up to date. We also use the most developed SMSF accounting software on the market, such as Simple Fund, Class Super, to ensure the accounting information is recorded accurately for our SMSF clients. 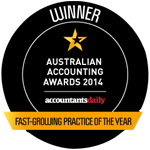 Our SMSF accountants also work closely with auditors to get your SMSF compliance work done promptly.